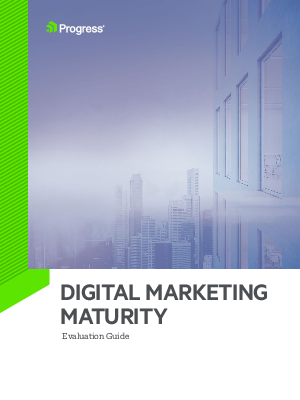 The Digital Marketing Maturity Evaluation Guide helps organizations measure where they are on the path from a single silo of automation, to a complete and integrated platform. This eight-stage model enables organizations to rate their usage of digital marketing technology using yes/no questions and a simple point system. Questions are targeted toward marketers familiar with the systems, data and processes that drive digital marketing. Their final score will enable them to see if they are beginner, intermediate or advanced digital marketers.